Dr. Ash makes poetry come alive. May be it is more accurate to say, she performs her poetry. 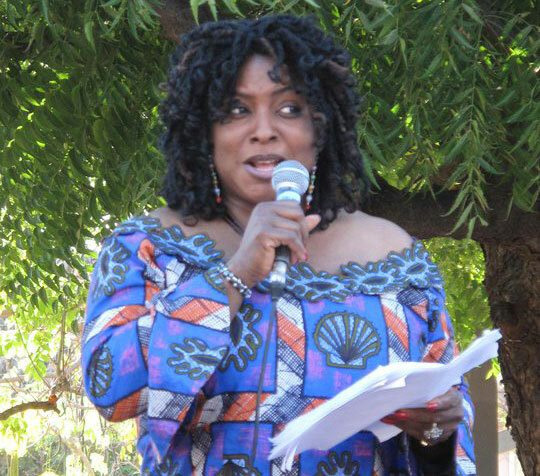 Invite her for a poetry reading or to spice up your event with poems suited for your event. She also organizes thematic workshops, especially for aspiring poets and non-poets. Are you worried about climate change, domestic violence, environmental issues, racism, children’s rights, homelessness or even a problem in your life? Let your poems speak for you! In this workshop you will learn hands-on how to create beautiful poems that would not only help you to engage with your topic, but would also challenge readers to think critically about it and even encourage them to take action.